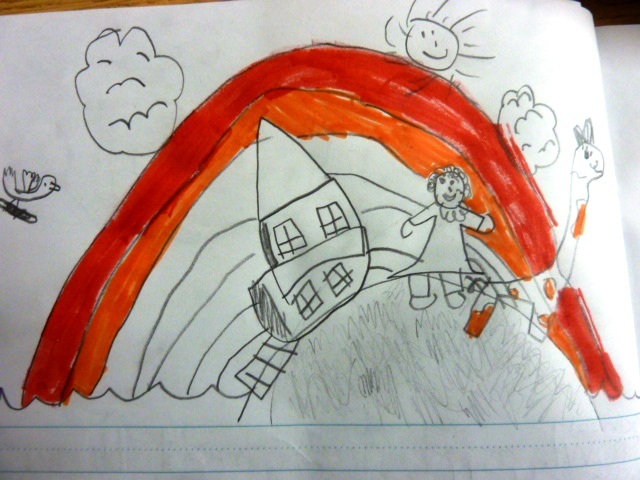 My readers will notice that my own writing is going to be taking a back seat for a while because I’ve taken a short contract, teaching a class of grade one students. Given Mayor Naheed Nenshi’s April 4th deadline for Art Flood, I knew that on March 31, I wanted to begin a conversation about floods with the little guys seated before me and it was important to me that this conversation be one that would not induce fear, but the sense of change and rebuilding. What better way to begin than to read the story of Noah? How did the animals get onto that ark? How did they fit? What does 2 by 2 mean? There were many questions come up and as serendipity would have it, we are a class blessed with a student also named Noah. 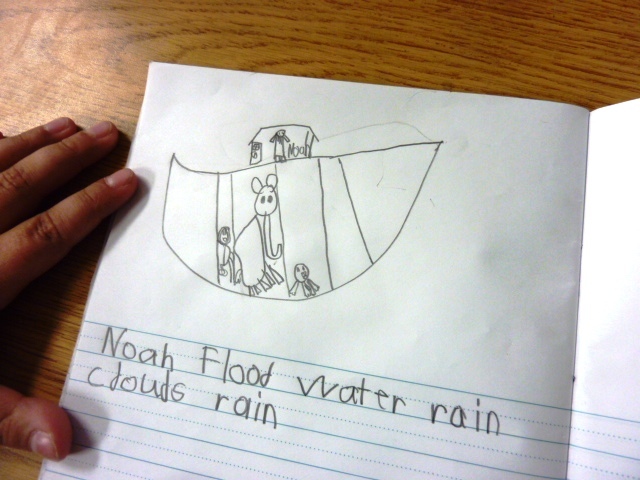 Soon after Noah’s story, I asked the students if they wanted to share any flood stories. This is when the subject of Calgary’s flood of spring 2013 came up. 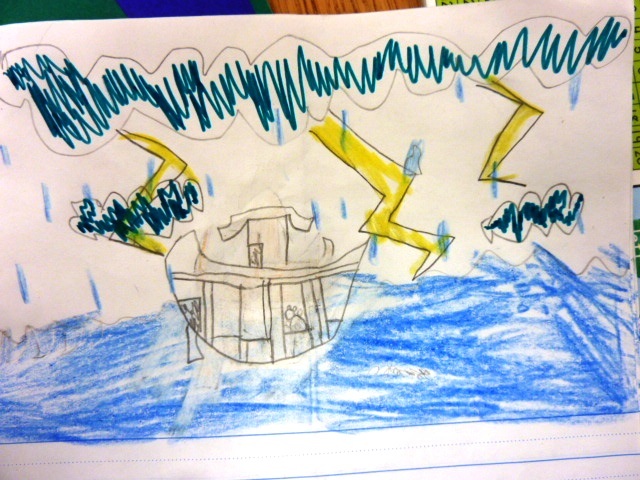 My Filipino students had eyes light up as they said, “I know about a flood!” And of course, the flooding of Manila in August 2013 and other typhoon events in the Philippines linger through family stories and real time experiences. 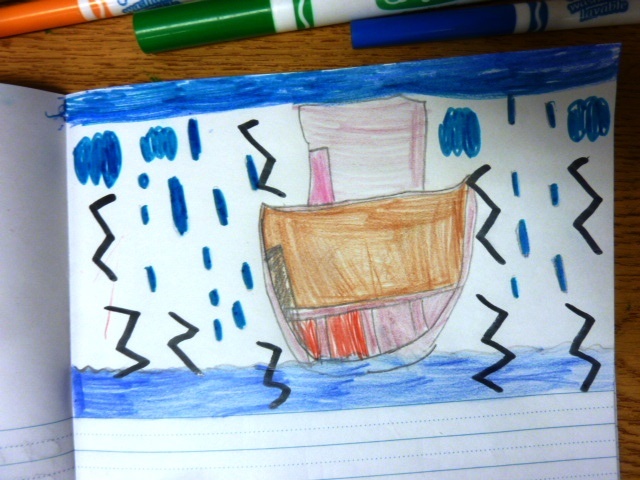 Images of Noah’s ark were created in student journals. 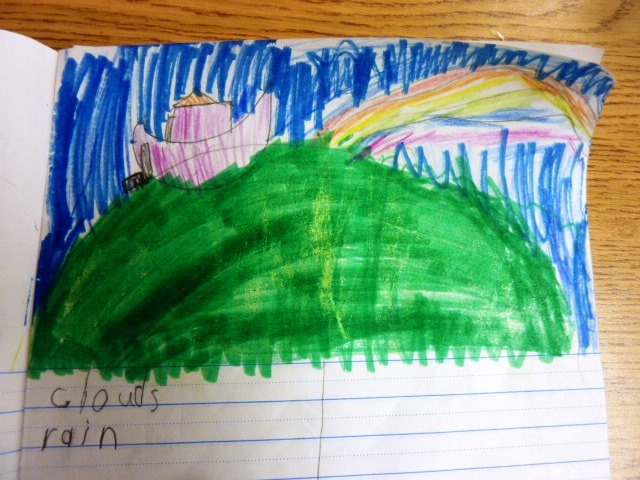 This entry was posted in Books, Creativity, Faith, Fine Arts, Observations of Nature, Projects, Teaching, Wellness, Words to Live By, Writing and tagged Anniversary, Art Flood, Children's Art, City of Calgary, Flood, Noah, Philippines, Rivers by Painter Lady. Bookmark the permalink.